The seminar will focus on innovation and new economies emerging in the African continent and part of what has been defined as “Africa’s digital renaissance”. Over the last 15 years, Africa has enjoyed economic growth above the global average. This has largely been fuelled by mining and agriculture, linked to Western countries and China’s demand for raw materials. Whilst this demand is now slowing down, its increase in African countries is a new story. 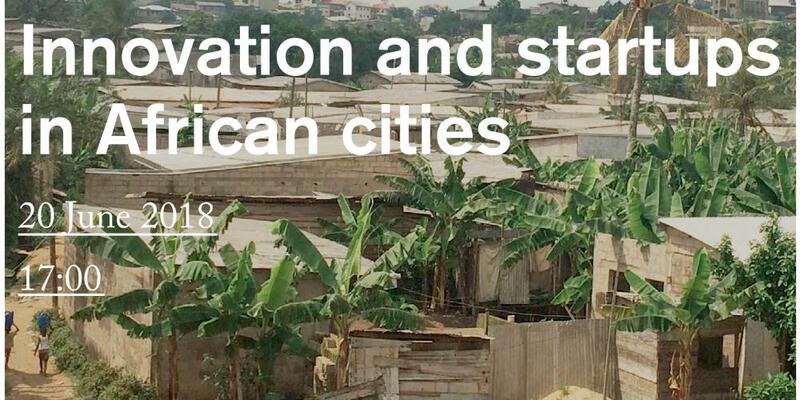 Africa has the highest rates of urbanisation; its poor infrastructure, which has previously hampered growth and development, is now a catalyst for innovation. The mobile phone, for instance, has become a game-changer for the continent. Mobile phones users boomed during the 2000's making Africa the fastest growing mobile market with an estimation of over 930 devices by 2019. The introduction of mobile phones has allowed to effectively reduce the digital gap between urban and rural inhabitants avoiding the installation of landline telephones. Moreover, this has encouraged new forms of business linked to ICT and mobile apps. One of the most successful stories is M-Pesa, a mobile payment system developed in Kenya. Launched in 2007, it is now used by roughly 2 million people, and estimates suggest that around 25% of the country’s gross national product flows through the system. It is not only about money flow, new technologies are improving many other aspects of Africans’ daily life, from healthcare to agriculture and personal safety. Despite the enormous differences among African countries and the fact that the continent still has the highest digital divide rates of the world, the 2017 total funding of African tech companies grew by 51% compared to 2016, and the number of funded startups increased by 8.9%. These data evidence a growing trend over the years the African continent with its cities as a place for entrepreneurship and innovation. Professor Emeritus of International Economics at the University of Turin. He is an economic columnist of the national newspaper La Stampa and serves as Editor-in-chief in Il Sole 24 Ore. His scientific research mainly focuses on the analysis of modern market societies. He is part of the Scientific Committee of Centro Piemontese di Studi Africani. Founder and editor of VadoinAfrica.com, a blog focused on African innovation and win-win opportunities. He has 10+ years of expertise in East and West Africa, consulting for private and non-profit clients on how navigate and create value with African ecosystems. He also writes for Africa Rivista and Africa e Affari. Knowledge and Innovation Advisor at UNDP’s Regional Office for Africa based in Addis Ababa. His interests include innovation-based development for the African continent. Architect and independent researcher, in the past few years he has developed interdisciplinary projects with international firms and built case studies between Europe and Africa in the field of environmental parametric design, digital fabrication, and smart construction.